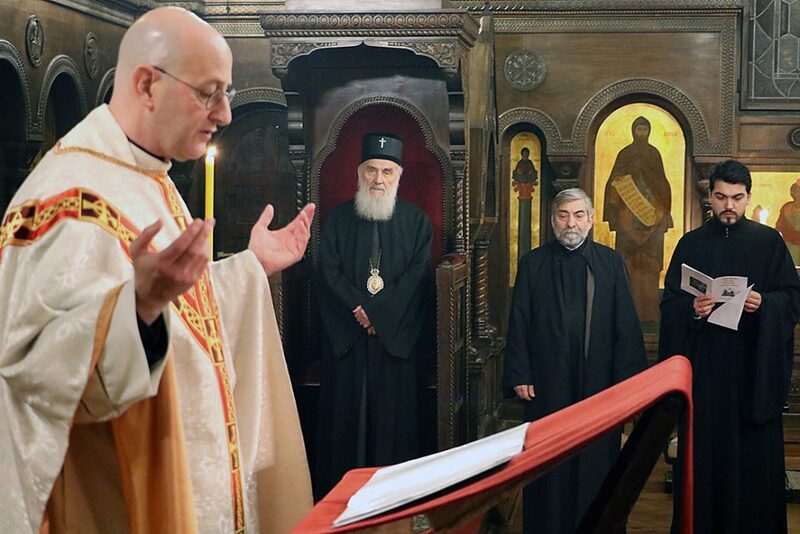 According to a recent interview in Q&A format, conducted by the National Catholic Register, Ecumenical Patriarchate Bartholomew blasts Orthodox opponents of the ecumenical movement. 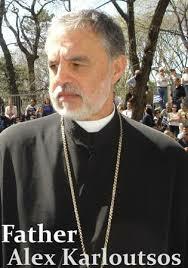 Q: In your encyclical of Feb. 21, 2010, you strongly criticized some Orthodox Christians’ resistance to ecumenism. Does such resistance pose a significant obstacle to dialogue with the Roman Catholic Church? 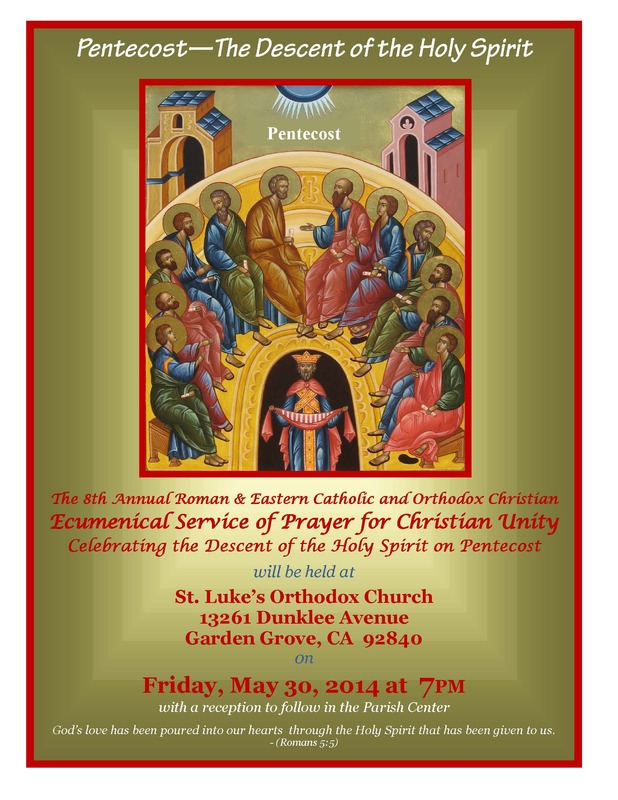 What are some other challenges that the ecumenical movement faces today? A: All Orthodox autocephalous churches have agreed in engaging the theological bilateral dialogues with the other Christian churches. We are continuing in the same way to bear witness with our Orthodox faith so that “all may be one.” We are called by the apostle to “speak the truth in love.” So when we call out brethren for their lack of love and of commitment to the wholeness of the Gospel, we do so with love, knowing that only love can remove the knots that bind the human heart in fear. For resistance to encounter with the other is ultimately based in fear. And fear, left to its own devices, can degenerate into hatred and even violence. Why else do we see religious war rearing its terrible face in the world today? Is it not because fear of the other has succumbed to the most primal instincts? In the ecumenical enterprise, without an unconditional acceptance of the other’s right to his or her own self-understanding, dialogue becomes monologue, a one-sided soliloquy of fear mongering and prejudice. But this does not mean acceptance of anything at every turn. All ecumenical partners must be willing to allow for difference, and to face difference without fear, knowing that the God who made us different loves us all the same. Our responsibility is to “speak the truth in love” to one another, even if it hurts. Thus, the progress of the ecumenical movement may be slow, but the progress is genuine. It seems that any disagreements with Bartholomew ends with him casting his hate upon his opponents. Heresy may have a legal right to exist, but it does not have any spiritual or moral rights; only Orthodoxy does. This does not mean that physical violence or persecution should be used against the heterodox, but the Same God Who made all things, became Man, and founded His Holy Church does desire us to negate any falsehoods. .
Bartholomew says that it is a responsible thing to speak the truth in love, but he has rarely done that, so it becomes a monologue, not a dialog. What kind of profound theological teachings can Orthodoxy learn from Papism, Islam, or other religions that are not found in the Scriptures, Holy Tradition, Church Councils, and our holy Saints? There have always been those who engaged in ‘Heresiology’, that is, the studies of heresies; yet, it was for the purpose of promoting Orthodoxy. There have, of course, been also those who studied non-Orthodox writers, but, they have always been clear to take only honey. 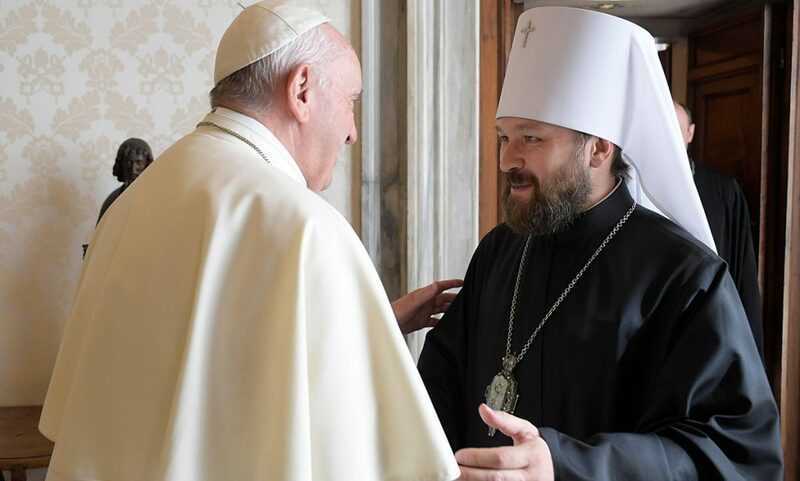 Indeed, Bartholomew re-emphasizes that all ‘autocephalous Orthodox churches’ agree with the ecumenical movement and ecumenism. By this he means the Patriarchates of World Orthodoxy. Yet, as noted before, the ‘tolerance and love’ of the ecumenist does not extend to those who reject the pan-heresy of Ecumenism. If a person were to accuse them of heresy, then that person would be the subject of great hatred, persecution, and even physical violence. 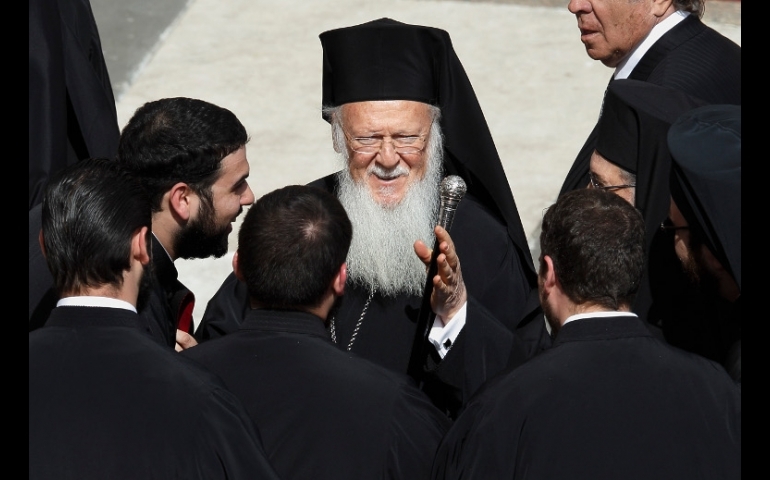 As Patriarch Bartholomew continues to emphasize the upcoming meeting with Pope Francis in Jerusalem, not only does he attack as fearful and hateful those who reject ecumenism, but also he lauds Papism and its leader. Q: What is the significance of your upcoming meeting with Pope Francis in Jerusalem, particularly in terms of promoting closer relations between the churches and more effective cooperation on issues of common concern? Can you tell me any of the topics that you expect to discuss with Pope Francis and why? 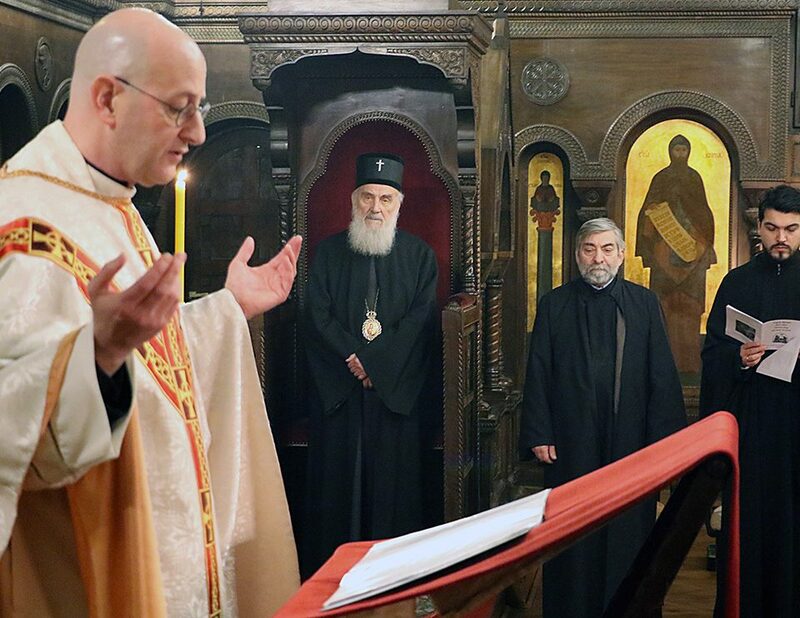 A: The meeting of the pope and the ecumenical patriarch in Jerusalem 50 years after the historic encounter of our ever-memorable predecessors, Paul VI and Athenagoras, should not be underestimated by anyone. 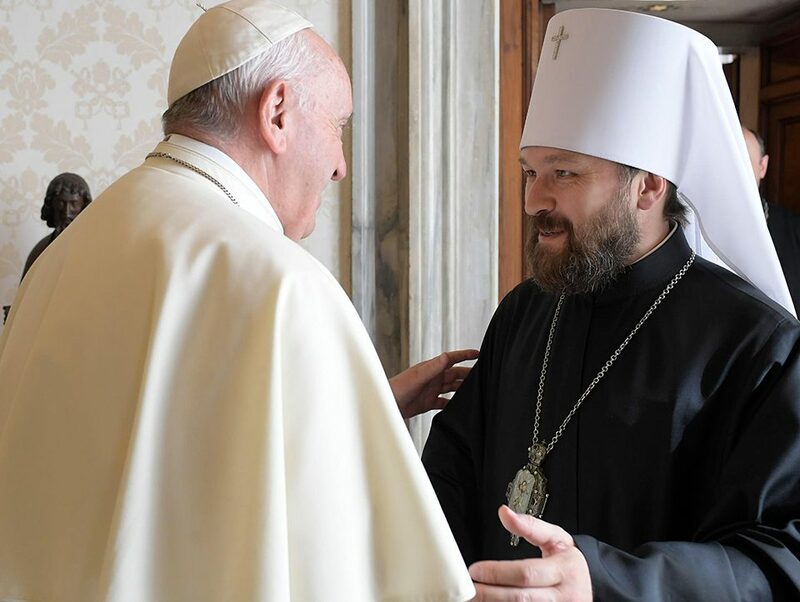 Since that groundbreaking meeting, tremendous strides have been made in the relations between the Orthodox and the Roman Catholic Church. Together, we have envisioned the real possibility of a fully shared ecclesial life, which is our vocation in Christ. The dialogues of love and truth that followed that fateful beginning have made important breakthroughs, even though the final goal of full and unbroken communion is yet to be achieved. But as in all worthy endeavors, the journey is as important as the goal. Therefore, we and Pope Francis have committed to this sacred pilgrimage to the holy city of Jerusalem, to manifest the fraternal bonds between us, who are the successors to the holy brothers of Galilee, Peter and Andrew. There, in Mother Sion, we shall bear witness to the faith of Christ in the place where such faith was born. Now, more than ever, our fervent support of the diminishing Christian minorities in the Middle East is most vital. The Phanar essentially says that Christ was hateful and fearful for His attacks on the false religion in Palestine and in the world, and that the Apostles and the Apostolic Fathers were hateful and fearful because they attacked Gnosticism, Paganism and Judaism. This is the attitude facing those of us in True Orthodoxy. Bartholomew will have, come hell or high water, his ecumenical one world religion. His vision is not Orthodoxy; it has nothing to do with Christ’s Holy Church. And if we get in his way, we will be trampled under his feet like trash. I wonder how long the conservative new calendarists will continue to tolerate this affront to the one holy and catholic church which is orthodoxy and start leaving these false patriarchates/churches in droves? Does the creed matter to them anymore? With any luck their “holy and great synod” in 2016 will be a breaking point for at least the more staunch amongst them. Hopefully we gain Metropolitan Hierotheos and Metropolitan Seraphim of Piraeus and Athanasius of Limasol.